Set in the glistening Pacific Northwest, Seattle doesn’t have to work hard to attract visitors. Still, the city has developed more than enough reason to put itself “on the map”. In 2015, 38.1 million people visited the Emerald City. For those who plan to follow in their footsteps, here are the top 20 attractions other than the Fremont Troll that you won’t want to miss. Check out options like the CityPASS for deals! Originally built for the 1962 World Fair, the Seattle Center is now a 74-acre campus pivotal to Seattle’s education, entertainment, and tourism. 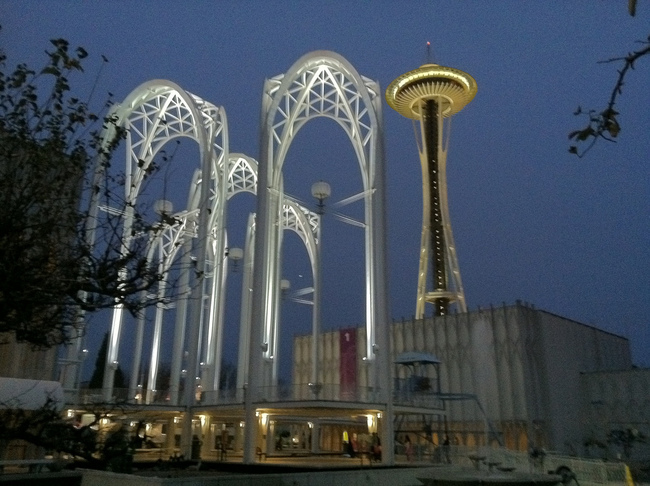 Visit the Space Needle, Pacific Science Center, Museum of Pop Culture, Chihuly Garden & Glass, and Seattle Monorail. Seriously, see them all – you won’t be disappointed. Located where the name suggests, this park is composed of Pier 57 (location of the Seattle Great Wheel) through Pier 59 (location of the Seattle Aquarium) along Elliott Bay. Lions and tigers and bears, oh my! Check out the zoo‘s 92 acres divided into bioclimatic zones to simulate the natural environment of each animal. 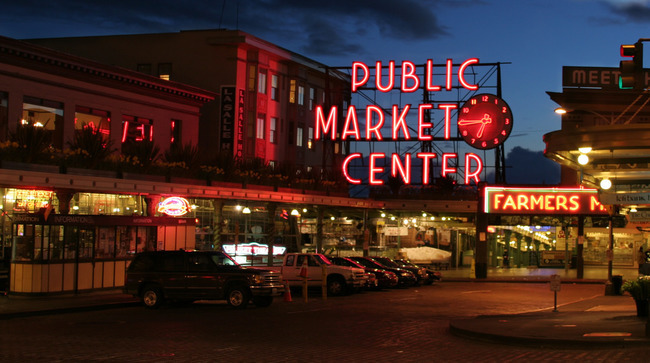 Over 100 years old, Pike Place Market is one of the oldest continuing operating public farmers’ markets in the nation. Community-minded, the market supports farmers, artisans, and small businesses. As you wander the booths, don’t forget to check out the famous fish throwing! With over 175 aircraft and spacecraft, “the Museum of Flight exists to acquire, preserve and exhibit historically significant air and space artifacts”. Check out the largest independent, non-profit air and space museum in the world for integral artifacts that chronicle the evolution of flight. The 100-year-old Ballard Locks are an impressive engineering mechanism that separate the fresh water of Lake Washington from the salt water of Puget Sound. Time your trip accordingly if you want to see the integrated salmon ladders populated. Check out the Seattle Art Museum, Asian Art Museum (closed during renovation until 2019), and Olympic Sculpture Park. Though located in different places around Seattle, they are all part of SAM. Lake Union Park offers astonishing views, the Museum of History and Industry (MOHAI), and the Center for Wooden Boats. Discover the Asian-American side of town! While in the area, stop by the Wing Luke Museum of the Asian Pacific American Experience and the Seattle Pinball Museum. Explore this museum with the unique opportunity to watch 747, 777, and 787 Dreamliner airplanes being assembled. You can even visit the Strato Deck on top of the building for incredible views of Paine Field. It’s not actually the ferries themselves that are a must-see, but rather the view you can only get from the water. Surrounded by two mountain ranges and a spectacular city skyline, you may even catch a glimpse of an orca! Explore the 230 acres of exceptional flora of the arboretum managed by both the University of Washington Botanic Gardens and the City of Seattle. 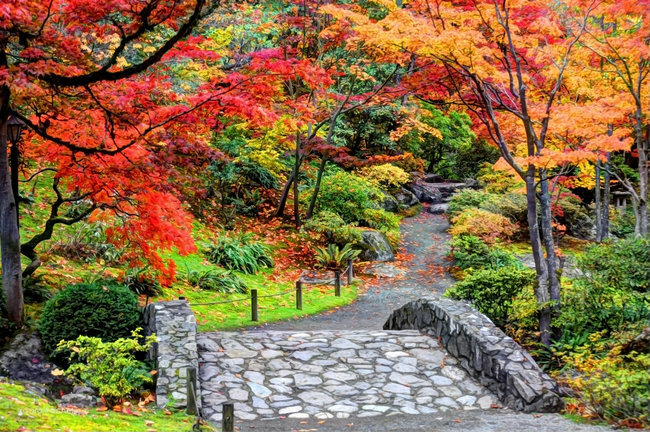 Nearby, the separate Japanese Garden is also highly recommended. This acre of park on Queen Anne Hill lends some of the best, and most iconic, views of the Puget Sound area. Pioneer Square‘s claim to fame is as Seattle’s “first” neighborhood, where the city founders settled in 1852. Check out this still-bustling area and stop by the Klondike Gold Rush – Seattle Unit to learn about Seattle’s role in the Gold Rush. Whether or not you’re interested in the books inside the library (there are over 1 million to choose from), it’s worth just driving by to take a look at the unusual architecture. At 534 acres, Discovery Park is Seattle’s largest city park. Including beaches and phenomenal views, the park resides as a sanctuary for animals and as an important, tranquil green space for Seattleites. As the first skyscraper in Seattle (and once the tallest building west of the Mississippi), Smith Tower was built in 1914 and is packed with history. Visit the observatory and learn about its rum-running days. Located on traditional, indigenous lands, the Burke Museum was established in 1899 as the Washington State Museum. It is the oldest public museum in the Evergreen State. The city rebuilt on top of itself after the Great Seattle Fire of 1889, leaving a series of interconnected tunnels under the hustle and bustle of today’s Seattle. For a unique view of history, don’t miss the famously comedic Underground Tour. 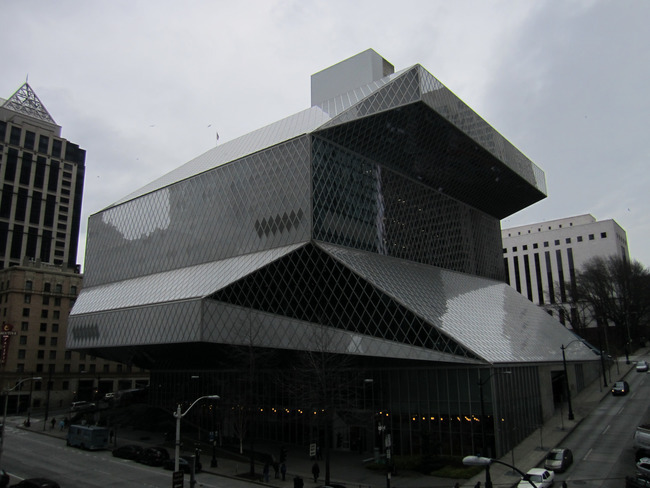 On the younger side of Seattle, Benaroya Hall opened in 1998 to house the Seattle Symphony. 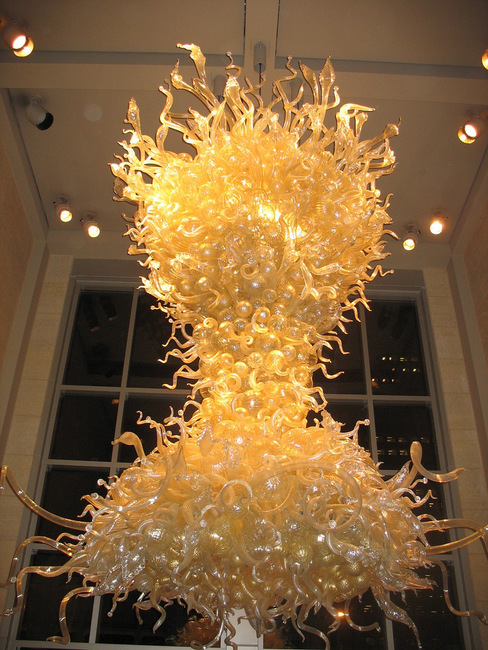 Enjoy a Dale Chihuly display on your way in to an unforgettable experience.